The port of Hamburg has state-of-the-art flood defence facilities and works according to the latest methods of Storm surge research. There is, however, no hundred percent safety from the dangers of flood and storm surge. The faster we react, the lower the risk. This is true not only for the HPA. Port operators and the population in the vicinity of the harbor should also be well informed in order to react properly in case of emergency. If there is danger of high water levels, the Hamburg Storm Surge Warning Service WADI is consulted. 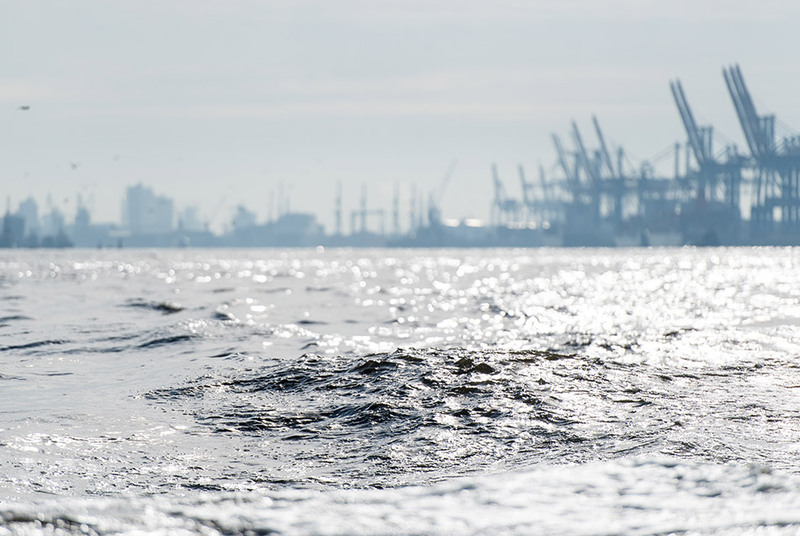 WADI assesses various water level and weather data measurements to create an accurate prognosis for the entry of high water into the port of Hamburg. Values of more than 4.5m above sea level are considered severe storm surges. WADI now provides all significant water level prognoses. In short: information, preparation, attention. If your residence or business is located in an area at risk, you should be aware of the dangers, warning channels and escape routes from the risk zone. Prepare for an emergency by verifying protective measures and escape routes on your own property. 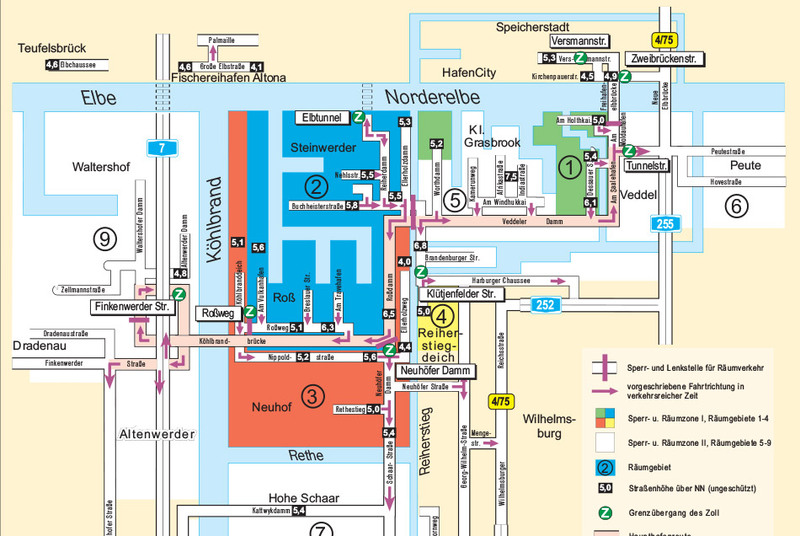 Last but not least: If you are in danger, pay close attention to the radio broadcasts or make use of the WADI and city of Hamburg information services. You can also use the free SMS warning service of the Department of the Interior and Sport and the Hamburg Port Authority (HPA). This will keep you informed of closures or evacuations in a timely manner. If an evacuation is decided by flood risk, the affected companies and residents are first informed about the radio, WADI radio or sirens. Employees in the companies leave the port, normally in their own vehicles. If the evacuation takes place in the busy time, compulsory traffic is carried out, in which the individual areas are closed off. During low-traffic times on weekdays between 6pm and 6am, Saturdays, Sundays, and bank holidays, the evacuation will use normal roads. Defence forces and protective forces use the same roads to enter the port. In the event of a storm surge, you may no longer leave the port in the way of your choosing. Both of the maps below show possible escape routes out of evacuation zones I and II depending on the expected maximum water level. Your contact for questions about the storm surge prevention and acute danger situations.